We're a little more than two weeks past the All Star break. So, it's as good a time as any to hand out some virtual hardware. About a month ago, our winners were Carlos Beltran, R.A. Dickey, Trevor Plouffe, and Yu Darvish. Who will supplant them this time around? The Pirates are pressing on, as Andrew McCutchen's teammate, Neil Walker, providing the best competition. 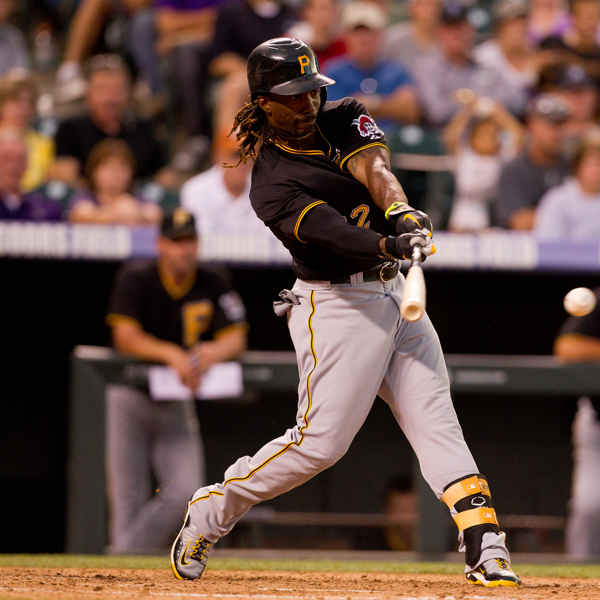 While Walker lead the NL with a .500 Batting Average and .561 On Base Percentage, McCutchen lead the league with his .972 Slugging, .606 wOBA, and 6 Homeruns. Honorable mention: Neil Walker, David Wright, Ryan Zimmerman, and David Freese. 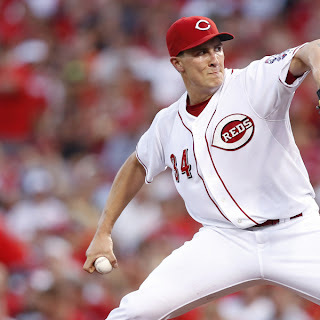 Perhaps turning the corner to dependable Major Leaguer, Homer Bailey has won his last four starts. Over the past fourteen days, he's 3-0, with a 1.59 ERA, 2 walks, and 20 strikeouts. Offense must have been up in the National League the past two weeks, as we've seen more dominant performances in the past. Honorable mention: Jordan Zimmermann, Aroldis Chapman, and Paul Maholm. Homer Bailey is surviving life with Dusty Baker. The Rookie from Cuba lead the Majors in wOBA the past two weeks, at .613. 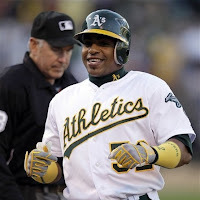 Plus, he lead the American LEague in all three slash categories, AVG/OBP/SLG: .529/.568/.853. One telling statistic that could harbor future success is that Cespedes cut his strikeout rate in half. For the season, he is striking out in 20.5% of his plate appearances and only struck out 10.8% of the time this past fortnight. Honorable mention: Mike Trout, Michael Brantley, Luke Scott, Albert Pujols, Prince Fielder, and Josh Willingham. The King has been a workhorse since the ASG, leading the league with 24 2/3 innings pitched. In three starts, he's 2-0 with a 0.73 ERA. The Twins' Francisco Liriano made a strong case to win, by striking out 45.5% of the batters he faced the past two weeks, but unlike Liriano, Felix actually won a game, walked fewer batters, and gave up zero home runs. 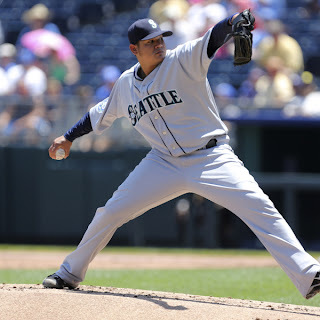 Honorable mention: Francisco Liriano, Justin Verlander, Clay Buchholz, and Roy Oswalt. King Felix is pitching to more contact and succeeding.